WHAT IS MOVE EARLY ED? We are an academic preschool focused on foundational skills, movement, creativity, and fun! We believe that kids need to "learn to move and move to learn." We have over 20 years of experience in teaching performing arts, dance, and academic skills. Our team of talented teachers bring a unique approach to education through our SCHOOLroom and our MOVEroom. From the preschool basics of ABC's and 123's, to learning to make shapes on paper and with our bodies, building individual learning skills and teamwork and tapping into the unique ways we learn, your child will build the foundation for reading and writing, mathematics, science and physics, music, art, and movement! Each week we will have a focused curriculum with material to take home for continued learning and connection, and throughout each session we will help you discover how your child learns best. We believe a healthy love for learning can start early on in just about everything we do. 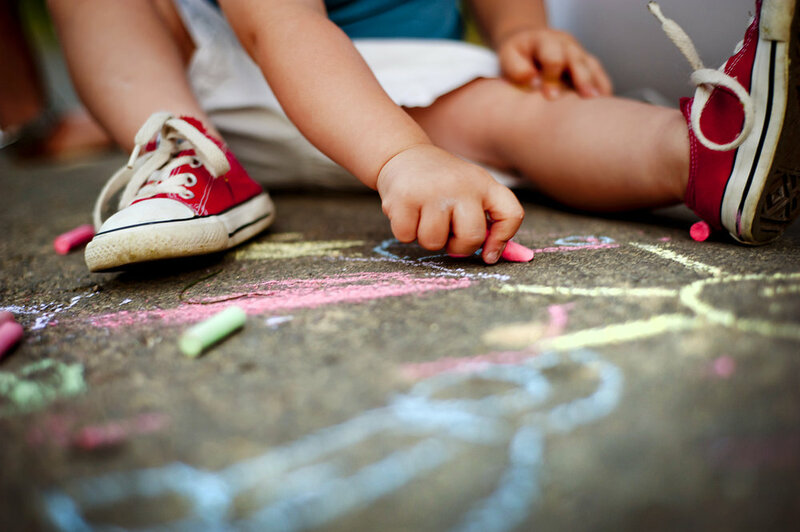 Connecting "work and play" and challenging children to learn through multiple avenues equips both the student and the parent with a better understanding of how each individual child learns, giving them the tools to succeed. We look forward to serving your children's academic and creative needs at MOVE Early Education. Students will work with academic skills such as letter and number recognition, gross and fine motor skills, as well as creative movement and theatre skill building and improvisation. 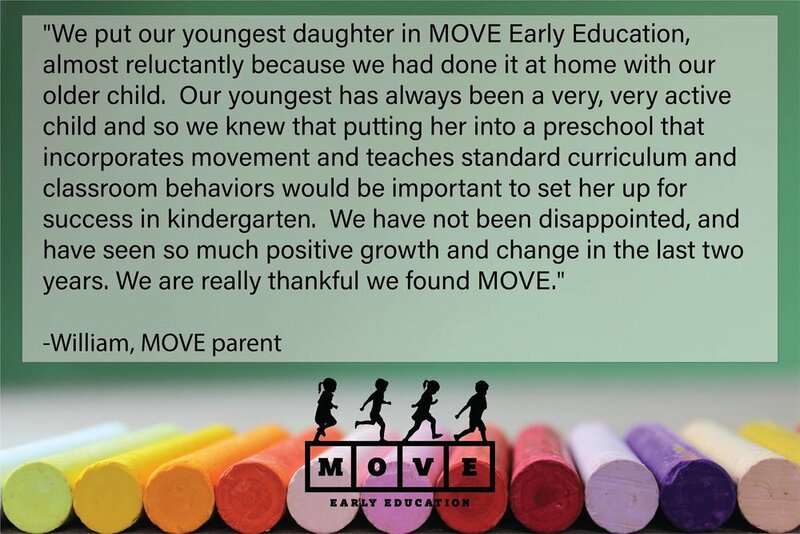 At MOVE Early Education, we take care to provide our customers high quality services personalized for their unique needs. We are available to speak on the phone or via email M-F 9am - 3pm. Our staff members are professional, courteous and efficient.